Innovation can promote economic growth and social and cultural well-being. : However, innovation is often conceived and implemented in a way that leads to unequal distribution of its benefits. The CIFAR Innovation, Equity, & The Future program takes a multidisciplinary and cross-national look at how, why, and when the benefits of innovation aren’t always broadly shared. 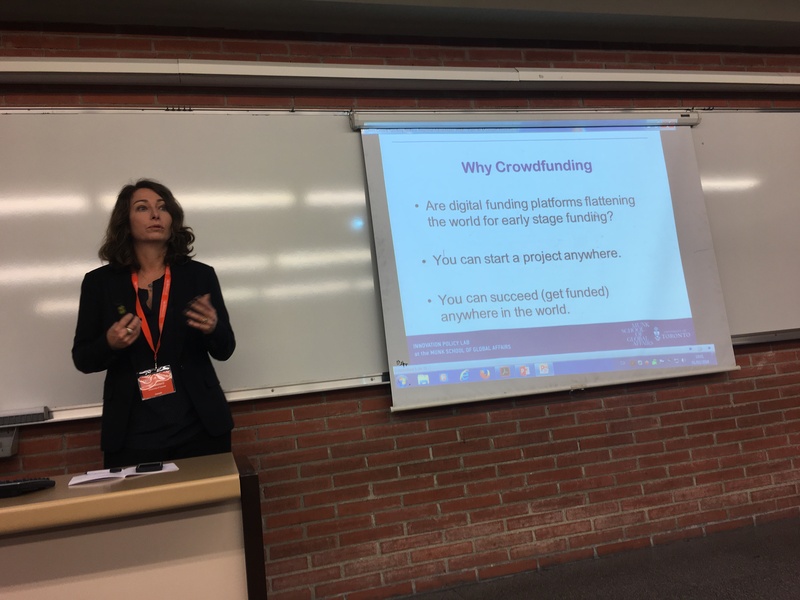 Read more about this program and Dan Breznitz’s role there as co-director. 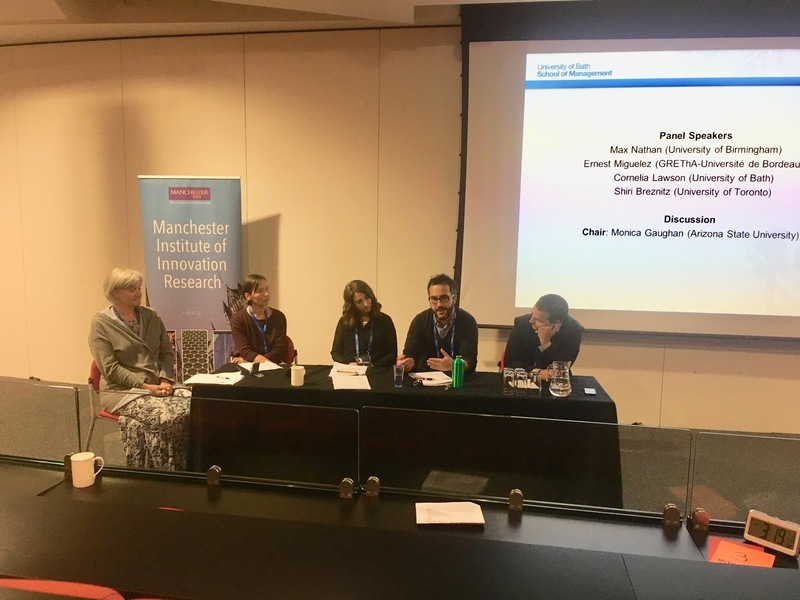 Event – Understanding Smarter Cities: What happens next? 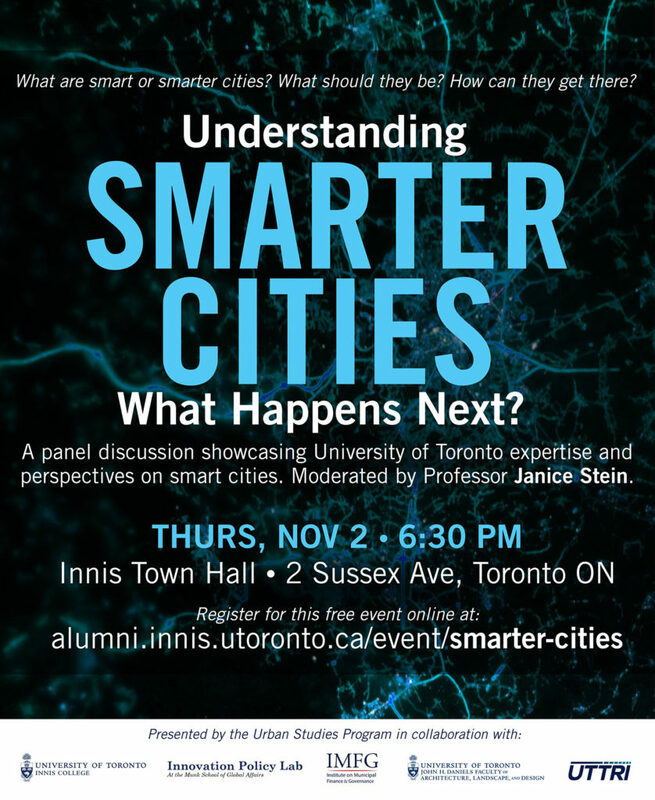 This panel discussion will showcase U of T expertise and perspectives on smart cities. Questions to be raised at the event include: What are smart or smarter cities or what should they be? How can cities get there? 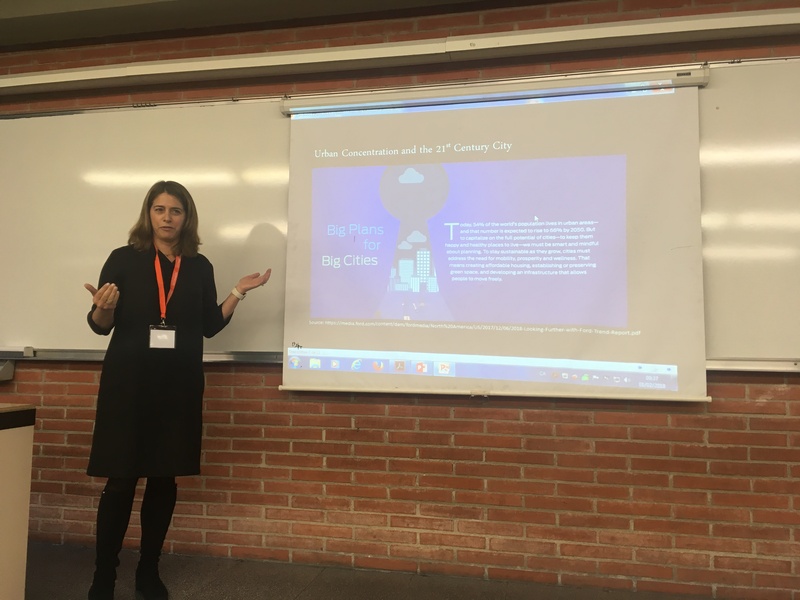 The intended audience includes local and regional stakeholders, government and industry partners that are developing smart cities strategies, researchers and community members. Panelists will highlight previous smart cities work and research including a recent workshop led by U of T on The Future of Smart Cities in India and also connect to the Canadian federal government’s upcoming $300M Smart Cities Challenge. 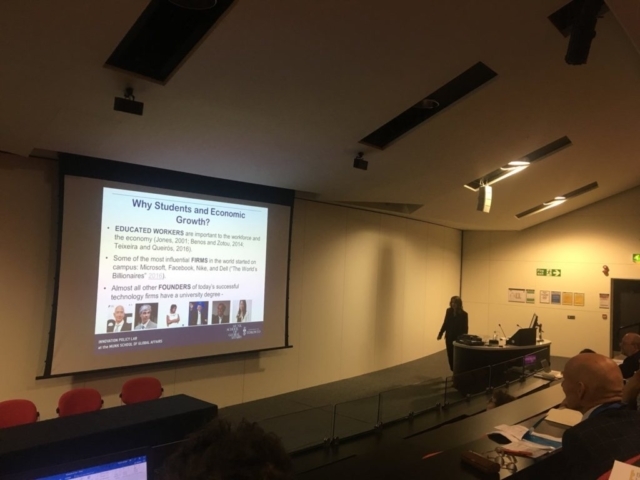 Hosted by the Centre for Social Services Engineering, Daniels Faculty of Architecture & Landscape Design, Institute on Municipal Finance and Governance, Munk School of Global Affairs, University of Toronto Transportation Research Institute and the Urban Studies Program. 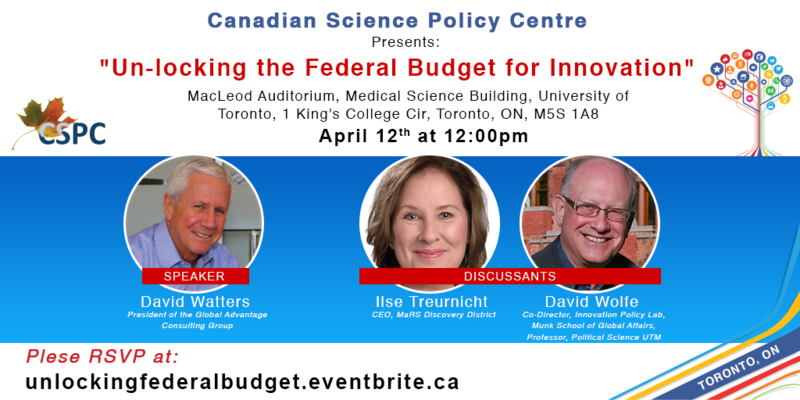 On April 12, David Wolfe will present at “Un-locking the Federal Budget for Innovation”, hosted by the Canadian Science Policy Centre. Click to register. From left to right: Vivek Goel, Mark Zachary Taylor, Dan Breznitz, Daniel Munro, Sagi Dagan and David Wolfe. 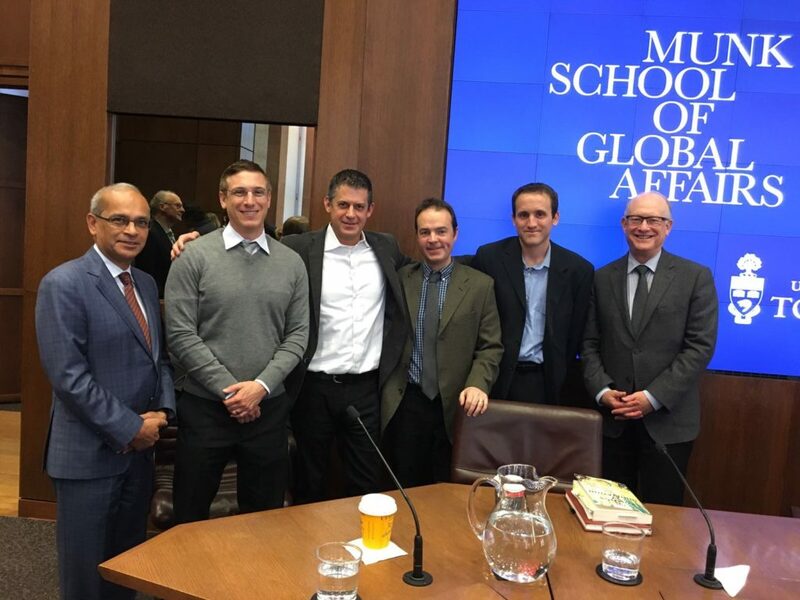 The Innovation Policy Lab hosted a panel discussion on Canada’s innovation within the global landscape on March 21 at the Munk School of Global Affairs. Panellists included Mark Zachary Taylor, professor and author of The Politics of Innovation: Why Some Countries Are Better Than Others at Science and Technology? 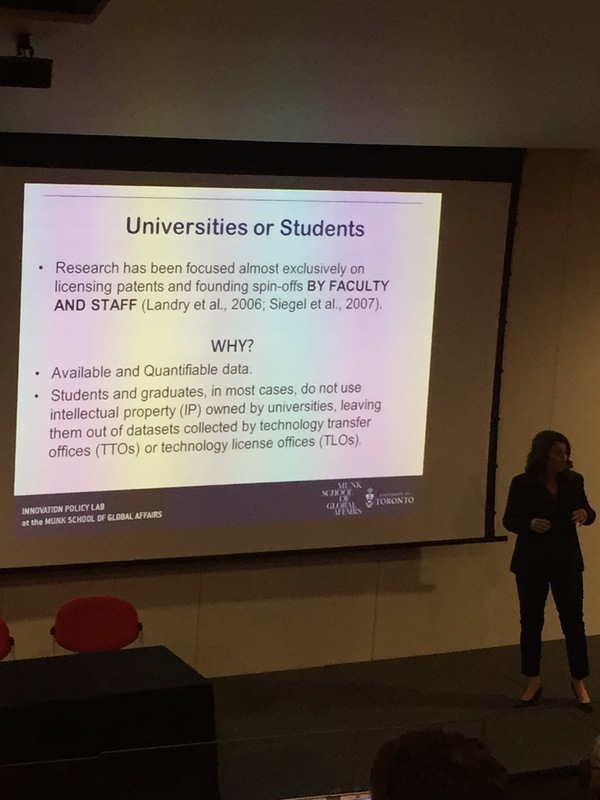 ; Dr. Daniel Munro, director of Public Policy at the Conference Board of Canada and Sagi Dagan, head of Growth Financing in Israel’s Innovation Authority. 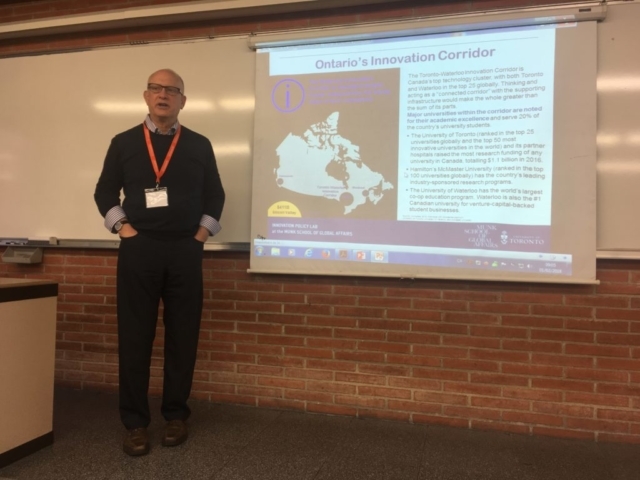 The panel was moderated by Dan Breznitz, co-director of the Innovation Policy Lab. While technology companies are often hailed as the future of the economy, that future may have already arrived in Toronto. David Wolfe, co-director of the Innovation Policy Lab, collaborated on a new report whose findings show that over 400,000 jobs in 2016 were related to technology. “How Technology Is Changing Toronto Employment” is a report from TechToronto, an organization supporting the city’s technology community, produced in collaboration with PwC, the IPL at the Munk School of Global Affairs, and CareerBuilder.